Chair obsessors like myself will recognize this Mart Stam chair as the daddy of all modern chairs. 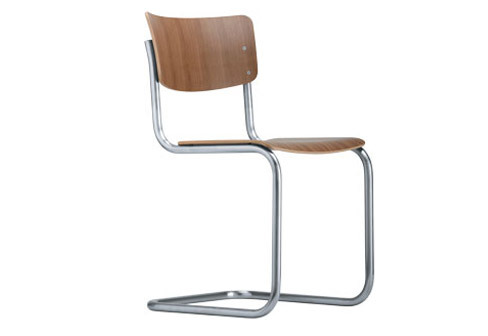 Created during Mart Stam's time at the Bauhaus it spawned many chairs inspired by its design, probably the most common and well known being the iconic "Breuer chair". 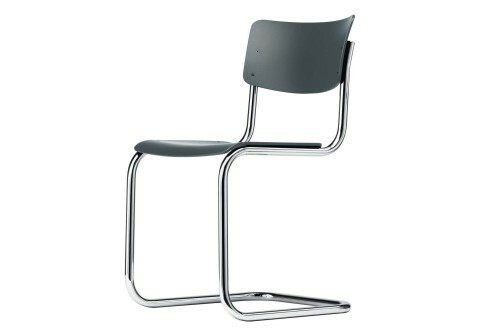 Designed by architect Marcel Breuer with a chrome tube frame and cane seat and back, this chair was widely copied, directly and indirectly - and it was clearly inspired by Stam's earlier effort. The Stam chair is even more minimal and simple enough it could be a $100 plastic chair contender if done in the right materials. Thonet USA?